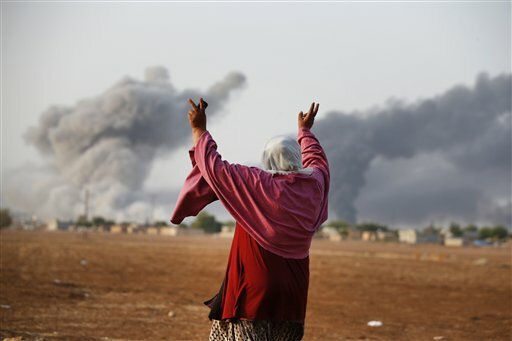 SURUC, Turkey (AP) — A suicide bomber from the Islamic State extremist group detonated his explosives-laden vehicle in Kobani on Monday, as fierce fighting with Kurdish militiamen resumed in the northern Syrian town near the Turkish border. A U.S.-led coalition has been carrying out airstrikes against militant targets in and around Kobani for more than two weeks, and the town’s fate has emerged as a major test of whether the air campaign can roll back the extremists in Syria. AP journalists Lefteris Pitarakis in Mursitpinar, Turkey and Zeina Karam in Beirut, Lebanon contributed to this report.